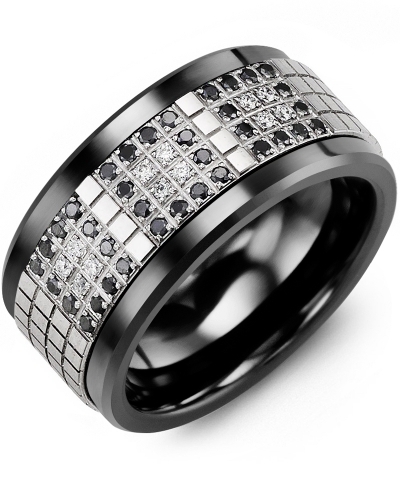 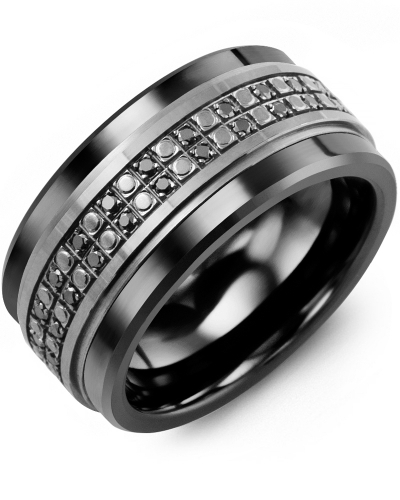 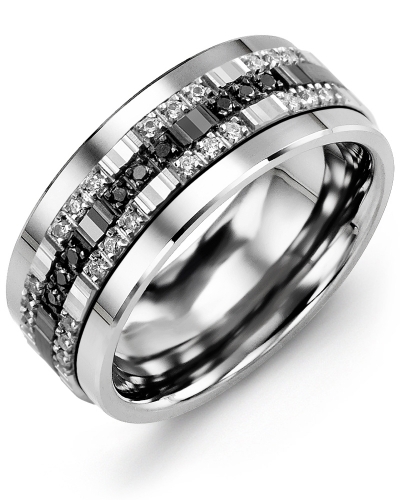 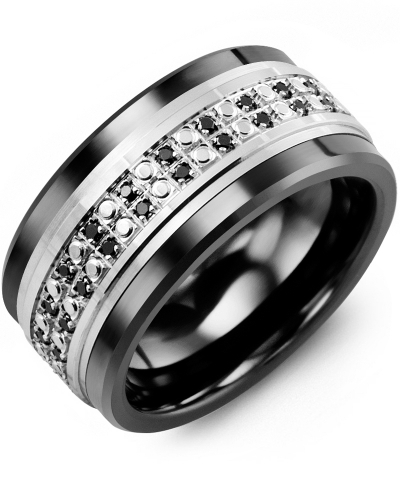 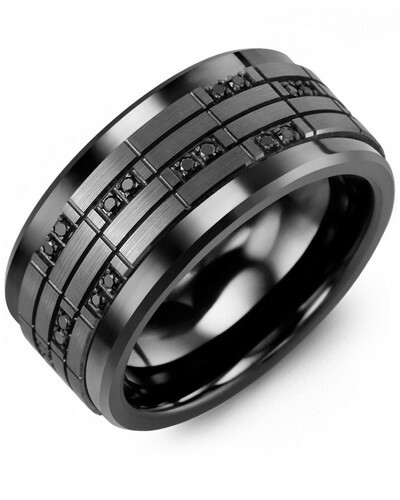 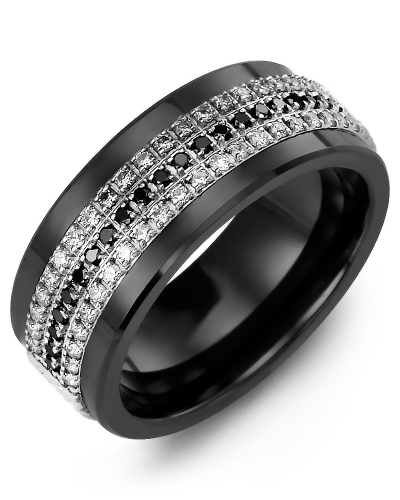 MKT - Wide Black Diamond Wedding Band A real statement piece for sophisticated brides and grooms, this 11mm Wide Black Diamond Wedding Band is beautifully embellished with 24 black diamonds with a total carat weight of 0.24ct. 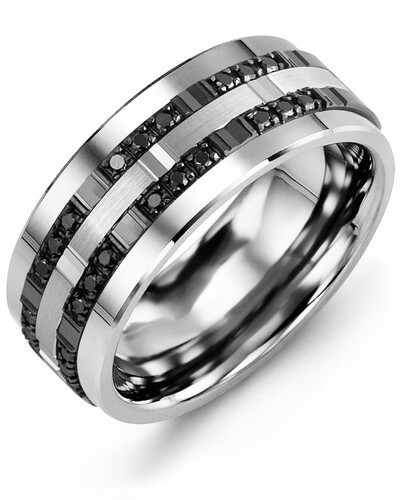 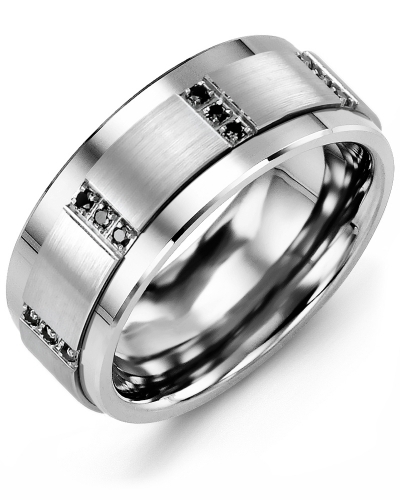 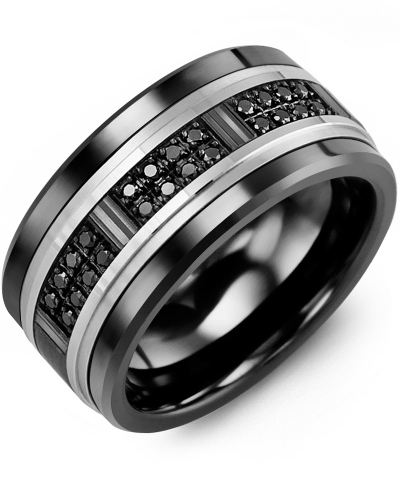 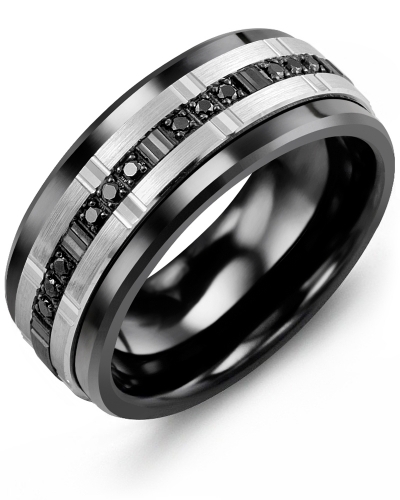 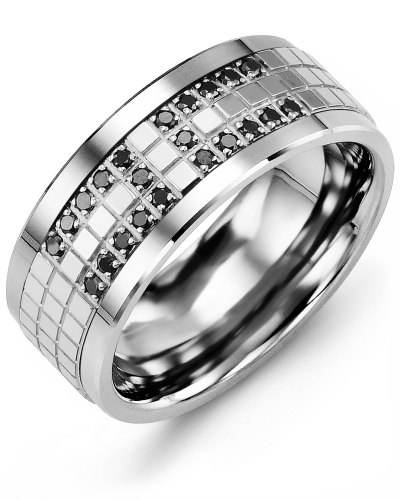 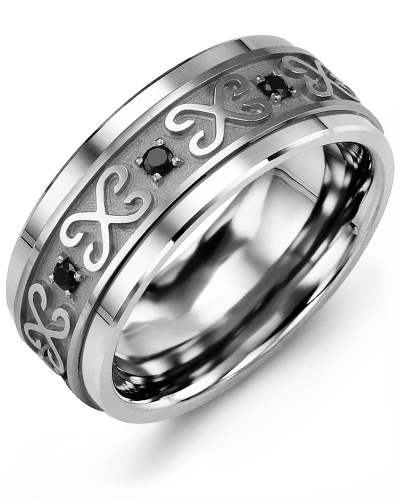 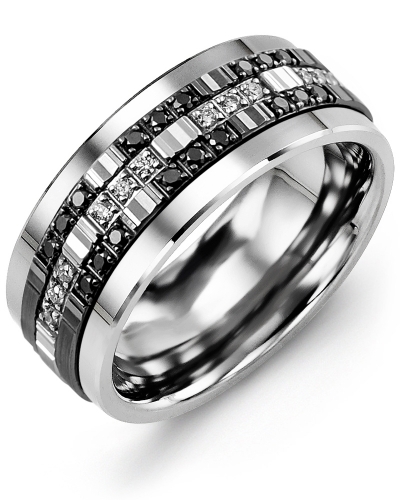 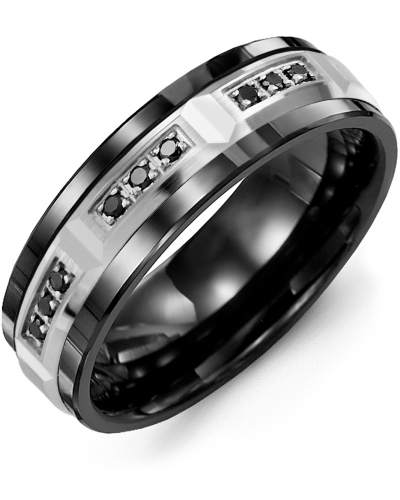 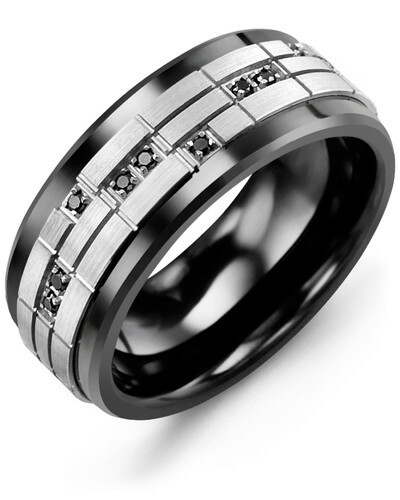 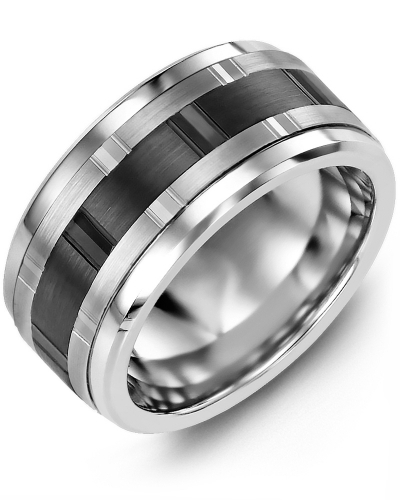 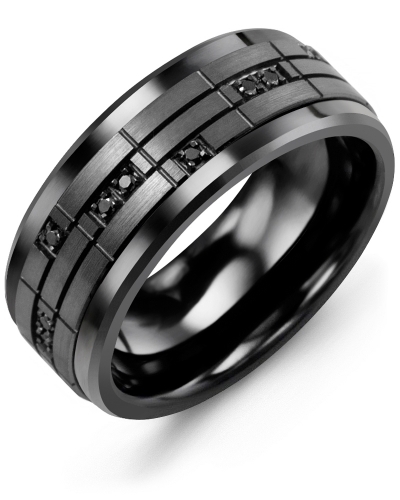 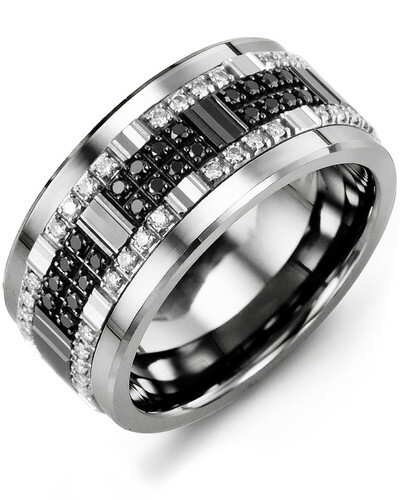 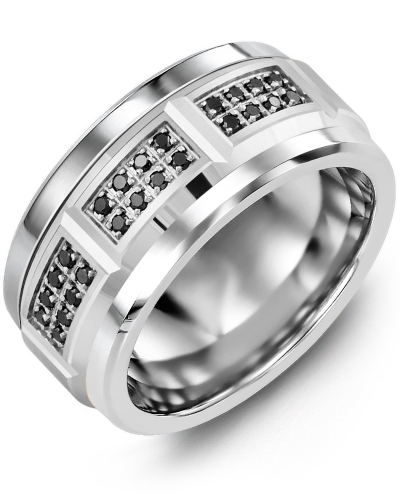 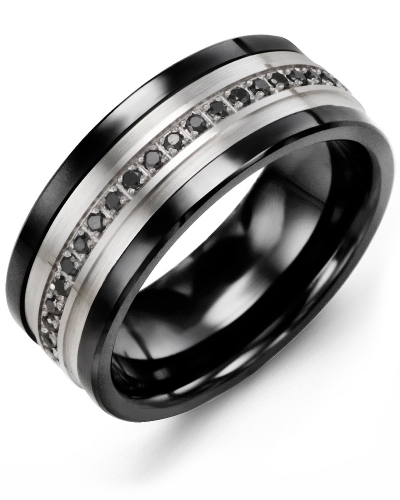 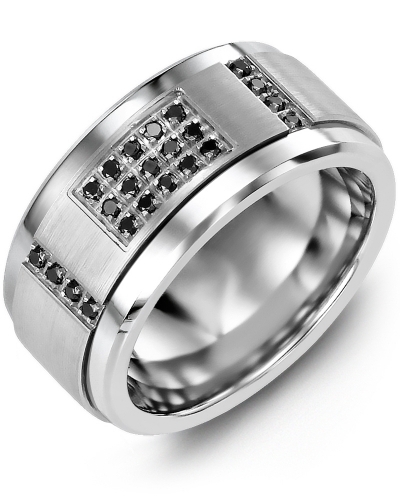 Offered as a cobalt ring, tungsten ring or ceramic ring, it features a finely detailed black and white gold insert presented in 10kt, 14kt, or 18kt options. Engrave the inside with your wedding date or initials to create a bespoke piece of jewellery for the one you love. 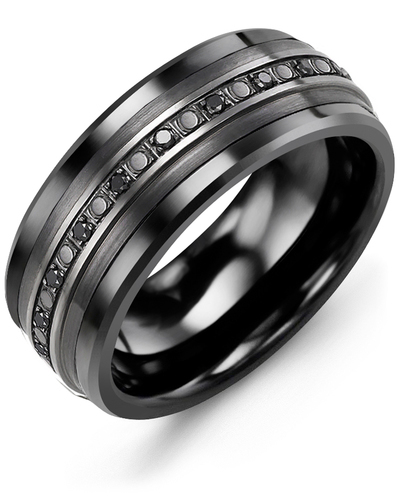 A real statement piece for sophisticated brides and grooms, this 11mm Wide Black Diamond Wedding Band is beautifully embellished with 24 black diamonds with a total carat weight of 0.24ct. 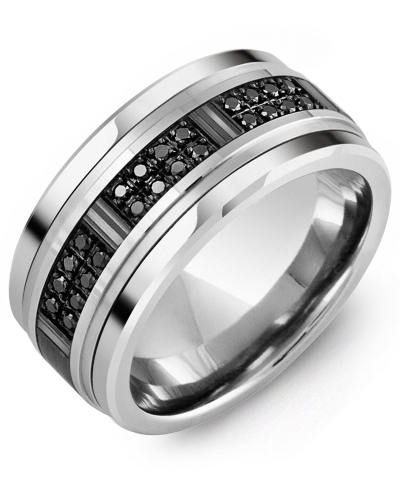 Offered as a cobalt ring, tungsten ring or ceramic ring, it features a finely detailed black and white gold insert presented in 10kt, 14kt, or 18kt options. 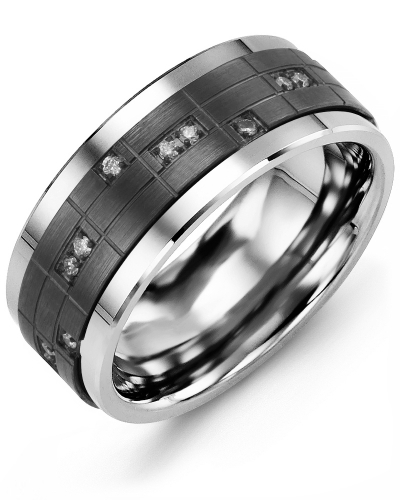 Engrave the inside with your wedding date or initials to create a bespoke piece of jewellery for the one you love.